The immense power of video to reach a wider audience is no longer debated – it’s a fact. Consumers view companies that post video content as more trustworthy than other sites, due to a more positive impression of the company. Relevant video content establishes a company as technologically progressive, able to adapt to changing consumer needs, and as possessing an edge over the competition. It’s not enough to just say that video content is more appealing than written content; website designers needed evidence to back it up. 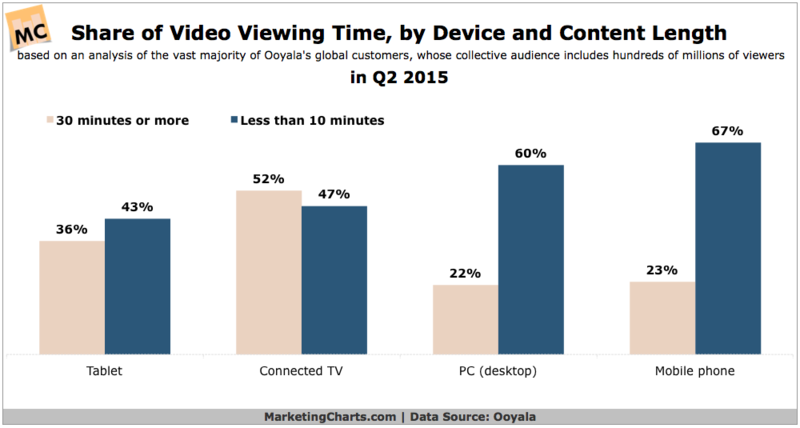 That’s why Ooyala put in the research to assess last year’s numbers, and have proof that video content is indeed beginning to monopolize the content industry. The percentage for video content views on mobile devices versus written content has skyrocketed in recent years, and with the number of global mobile users steadily rising, that’s a combination too powerful to ignore. It’s time to optimize your site for mobile usage, and that begins with investing in video content. Based on a prediction made by Cisco, this year will be the year of the video. Video traffic is predicted to account for more than 55% of total consumer traffic on the Internet this year, finally outstripping its other content competitors. This doesn’t come as a surprise in the Digital Age, where YouTube boasts over 1 billion monthly visitors and sites such as Vine and Vimeo promote fun and easy-to-use video sharing. It’s not just any video content that attracts users, however; it’s hyper-relevant content that hits home with viewers and encourages engagement. It needs to function as brand storytelling, and serve as a brief but engaging overview of your company’s core values and services. Just as social media changed the playing field for marketers, video content is changing the way we see content writing – and you need to either jump onboard or risk getting left behind. It’s easy enough to say you need video content on your site, but what about making it happen? Many companies don’t have the budget for video content efforts, especially when the return on investment (ROI) of video content can be difficult to gauge, as videos rarely generate a direct response. However, a lack of funds doesn’t mean you can’t try your hand at video content this year – not with the plethora of cheap, helpful apps and tools available to amateur videographers. If you’ve been discouraged about trying out video content in the past, this is your year to shine. Nowadays, high-quality clips can be filmed using most smartphones, edited with free apps, and shared online immediately. No tricky resolution barricades, expensive video equipment, or paid actors necessary. That’s not to say you should settle for subpar, low-resolution video content; on the contrary, you should use these tools to create powerful, stunning imagery. The point of creating video content is to get your message across in a unique way and use the freedom of film to express something you can’t express on paper. Your video content doesn’t have to be in-depth or complex, as long as it conveys your company message succinctly. Don’t use your video to push your brand or as a cheap sales attempt. Consumers are savvy about this type of advertising and don’t respond well to it. Instead, choose a concept that’s important to your company and make it speak to viewers. This way, your video will more likely be shared organically and spread around the web. One technique of incorporating video content into your website is to launch landing pages that include a customized video. This translates into a highly targeted proxy for your home page and matches the call to action you’ve sent. Experts say that using directional cues to direct attention to your call to action (CTA) can boost conversion rates by up to 80% – a number that’s guaranteed to make you take video content seriously. It’s important to shape your video content efforts to make sense within your current industry and niche to be popular among your target audience. That means you have to produce content that gives value to your consumers. First, identify a need your audience has. Then, work to fill or address that need with your video. For example, if your audience is interested in the presidential election, you can use that information to create a video that addresses voter rights, hot debate topics, or other niche market themes that will generate user engagement. Remember to keep it relevant to your company and angle the information through a lens that positively portrays your brand and situates you as a progressive thought leader. Don’t insert your personal opinions within your video content unless it is appropriate to do so for your market. Part of assessing your niche market is understanding your audience’s attention span. If your company targets other businesses and wants to use video content for educational purposes, you can probably assume you’ll have their attention for a substantial amount of time. If, on the other hand, you want to amplify brand awareness through social media, you can count on your timeframe being much shorter. Your video marketing plan needs to give your viewers something to do after they’ve watched your video. Similar to a call to action, you need to instill the desire to do something once the video has ended. Whether it’s a social change or just subscribing to your blog, consumers need to know what your endgame is, and how they can become a part of it. The best way for many web designers and marketers to incorporate new ideas into their strategies is to study brands that have already succeeded at it. 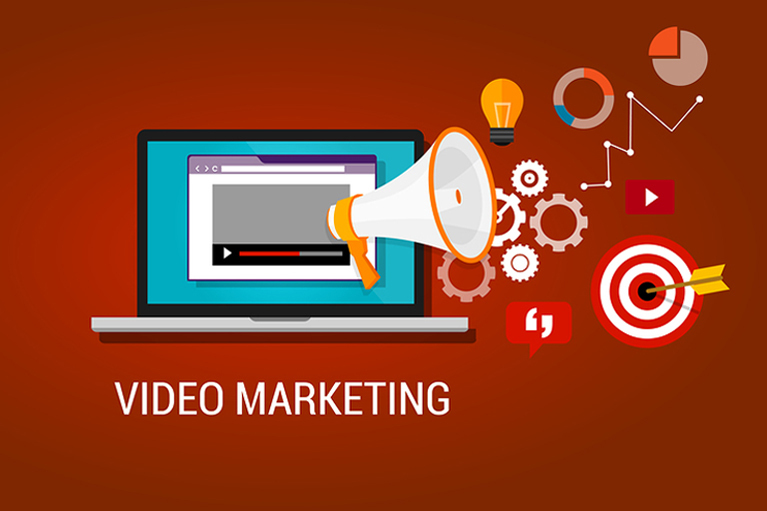 Video marketing is not a new idea, even though it has picked up momentum in the last few years. Businesses that were first to understand the potential of video content have had years to hone their abilities and understand what consumers want to see in video content. Learn from their examples, and create your own videos with similar goals in mind. Always’ “Like a Girl” campaign used a current topic of debate (self-confidence in preteen girls) to establish their brand as an industry thought leader. The ad quickly went viral, escalating to over 61 million YouTube views and counting. The reason this ad was so successful is that it didn’t directly push consumers to purchase Always products. Instead, it indirectly influenced consumers to associate their brand with empowering girls. Other companies were quick to realize the potential of this type of public service announcement (PSA) video marketing, and soon similar ads were making waves on the Internet, such as Budweiser’s anti-drinking and driving ad, which went viral after its release during the Super Bowl. Your video content doesn’t have to be about selling your brand – instead, choose to incorporate a subject your company is passionate about and watch as the organic hits roll in. Another way that companies have used video content to their advantage is to repurpose existing video for their own use, such as this example from General Electric. Many companies can easily reproduce this method, as there is no need to film new content at all. A simple editing tool is all you’d need to trim an existing clip for your use, as long as the material is public domain.